A rising star in smartphones, Oppo's been dabbling in dual-SIM phones since late last year, but the R819 is its most convincing attempt. The phone can challenge the dual-SIM offerings from more prominent makers like Samsung, LG, HTC and Sony. The standout features of the Oppo R819 are the light build, excellent screen and good camera. The chipset handles Android 4.2.2 smoothly and Oppo's custom tweaks add a lot of useful stuff, even though they hardly help the looks. The best part is, if you don't quite fancy Oppo's Color ROM, stock Android ROM will keep you in your happy Holo-themed place. The R819 isn't going to win you over with its looks alone, but that's mostly because the Find 5 has raised the bar pretty high. In this price range the solid build quality and nice materials are more than good enough. Battery life is good for the class, too, but we still wish the battery was user replaceable. Established makers have a few alternatives to the R819, but they all involve more than a few compromises. 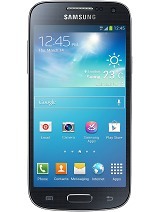 Samsung and HTC have dual-SIM versions of their flagship phones, though they are not really direct competition. The Galaxy S4 mini duos fits the bill better - it has a more powerful chipset, better connectivity with LTE and NFC, more software features (most of the R819's features are TouchWiz-inspired), plus expandable storage. The 4.3" qHD Super AMOLED is no match for the sharp, bright 4.7" screen of the Oppo, though. The HTC Desire 600 dual sim has a 4.5" qHD screen and is powered by a slower chipset (with Cortex-A5 cores and Adreno 203 GPU). Its 8MP camera can't record 1080p videos and, despite being thicker and heavier than the Oppo, it has a smaller battery (1,860mAh). Then there's the 5" Sony Xperia C. The big screen isn't particularly sharp at qHD resolution, but the phone uses the same chipset, has an 8MP / 1080p-capable camera and expandable storage. It's big (141mm tall, weighing 153g), but at least it packs a robust 2,390mAh battery. The real competition comes from phones from the home market. Xiaomi has a 4.7" 720p phone with the same chipset and similar specs, the Hongmi. Then there's the Lenovo P780 with a 5" 720p screen and a massive 4,000mAh battery. Indian maker Micromax and its A116 Canvas HD might also have a say here. 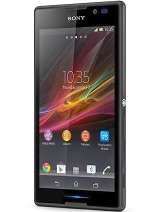 The smartphone has a 5" 720p screen and the same Mediatek chipset, though its 8MP camera can only capture 720p. The Canvas 4 swaps out the camera for a 13MP / 1080p one, but changes little else. The Oppo R819 measures up very favorably against such competition, especially when you take into account that none of these can limbo as low as 7.3mm slim and 110g of weight. The only remaining issue is one of availability - the Oppo R819 is on pre-order in Europe, the US, Australia, Hong Kong and Japan, which is much wider than we originally expected. This gives the Oppo R819 a fighting chance, it's an excellent dual-SIM phone with midrange specs. 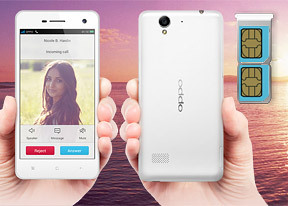 We just wish Oppo had brought in the designer who did the Find 5.